Bamboo Habitat imports and distributes naturally beautiful bamboo pieces and is now promoting the Smoked Bamboo variants within its screening range. Bamboo Habitat directly imports and distributes naturally beautiful pieces from Vietnam and Indonesia. One of the company’s specialties is promoting the benefits of high-quality bamboo screening and fencing. 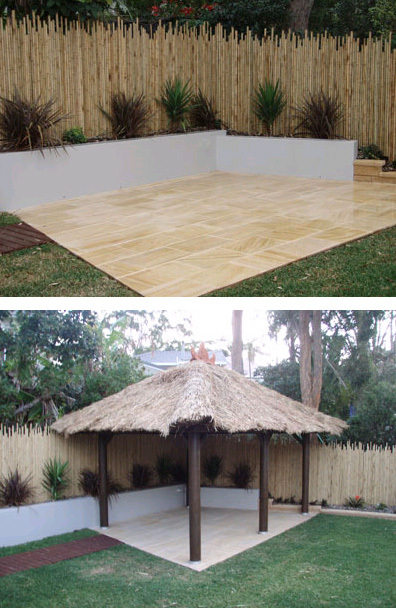 Bamboo is fast becoming the chosen medium when considering new fences or cosmetically enhancing existing metal or timber fences. Popular not only for its stand-alone good looks, bamboo also provides a natural/neutral background for plants, statues and water features (of which Bamboo Habitat can also assist). Bamboo is a very eco-friendly building material — it is fast-growing and self-renewing and does not require any fertilisers or pesticides to promote growth, which is reassuring news. All bamboo poles used in Bamboo Habitat screening are dried and straightened — the top knots are also sealed to aid the long- term good looks. One of the most important selling points with Bamboo Habitats’ bamboo screens is the fact that all panels are internally strung with strong 3mm galvanised wire, which is essential for long-term durability and for the natural, seamless style. Bamboo Habitat is now proudly promoting the new Smoked Bamboo variants within its screening range. This darker-shaded alternative provides a modern style to a long-time traditional favourite. Looking for an authentic Balinese gazebo or unique garden decor items? Ask Bamboo Habitat — the friendly team will be pleased to assist!